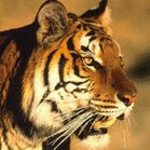 We, the members of Race for the Big Cats, are committed to the survival and celebration of the big cats. By coming together we believe any threats to these species can and must be stopped. By coming together we can and will make a difference.